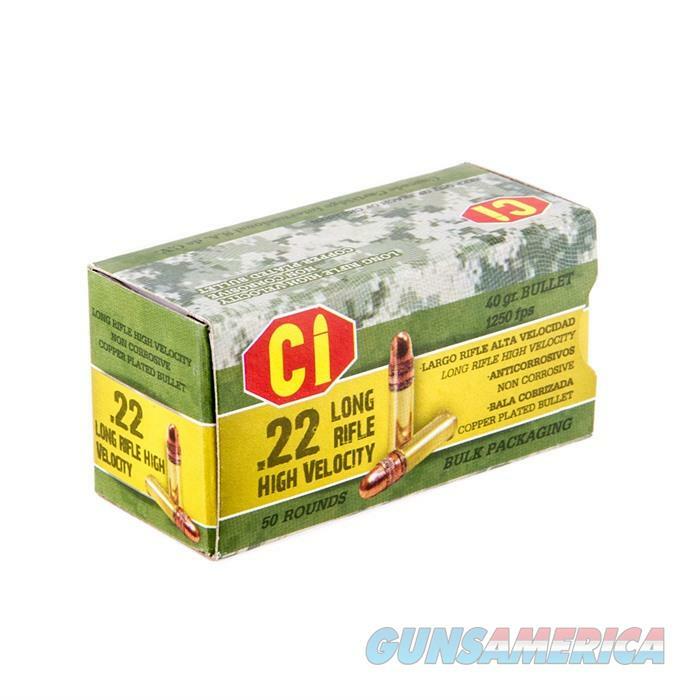 Description: Brownells CI22GC HIGH VELOCITY AMMO 22 LONG RIFLE 40GR COPPER PLATED ROUND NOSE Rimfire cartridges made by CI of Mexico. High velocity with non-corosive primers and smokeless powder. Brass cased and copper plated bullets. Each brick contains 500 rounds of rimfire ammuntion, 10 Individual 50 round boxes.